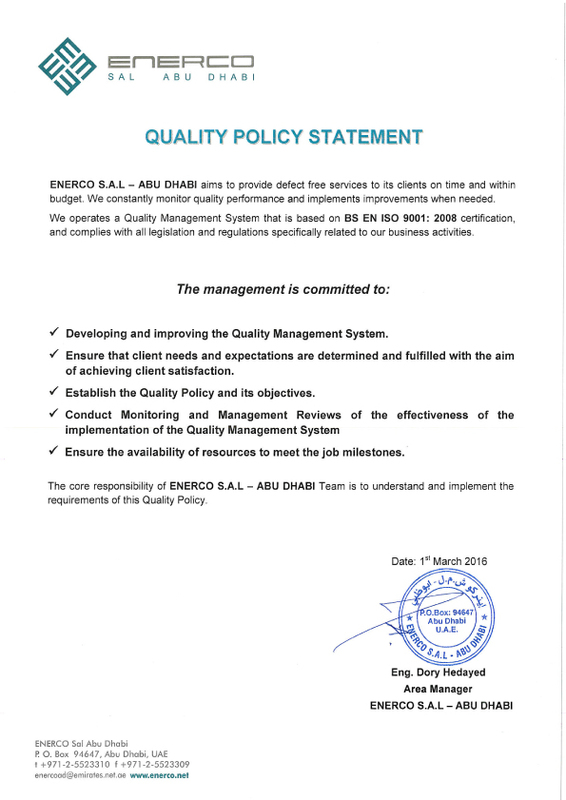 Enerco is committed to provide its stakeholders with a reliable and consistent service that adheres to the highest internationally-recognized quality practices the industry has to offer. To that end, ENERCO has developed an integrated HSEQ Management System that governs the performance of all the steps of our work processes. 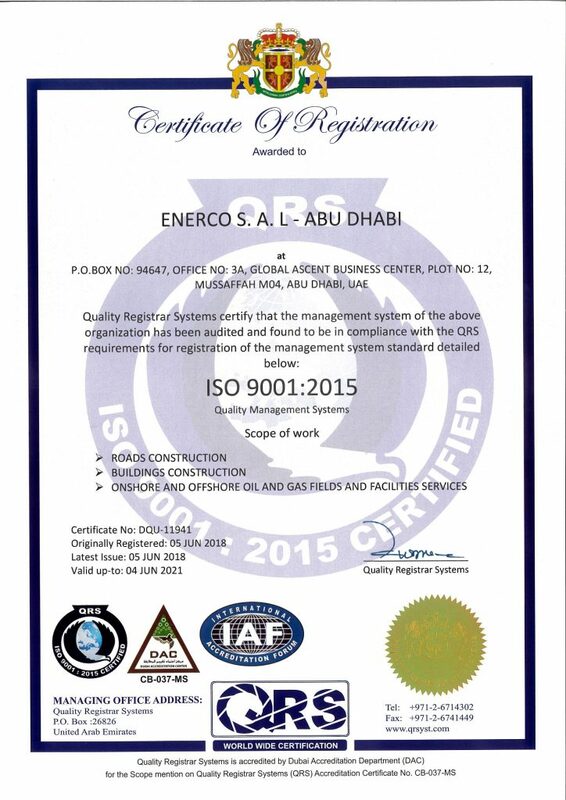 With a highly developed “Quality Culture, “ ENERCO has developed and implements in all its projects a Quality Management System complaint with ISO 9001:2008 regulations which ensures that the Company offers its customers reliable services of a consistently high quality. 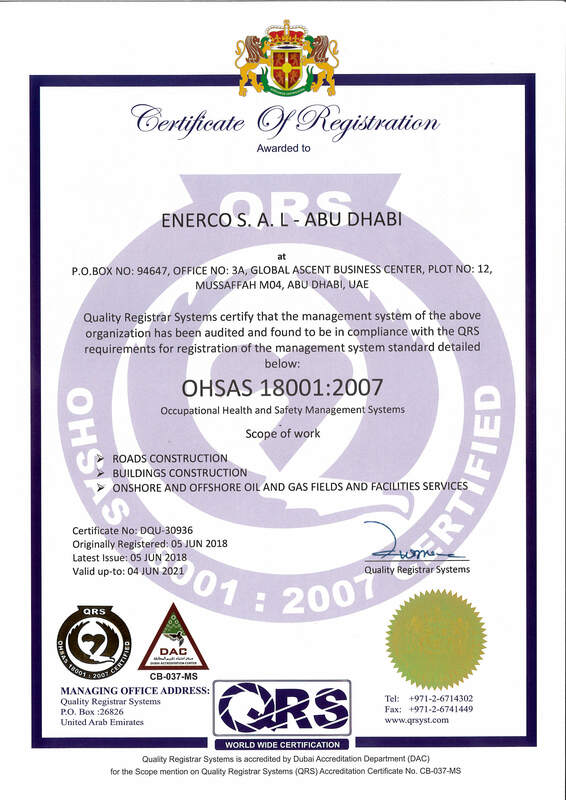 ENERCO is dedicated to maintain the highest standards in Health, Safety and Environment. 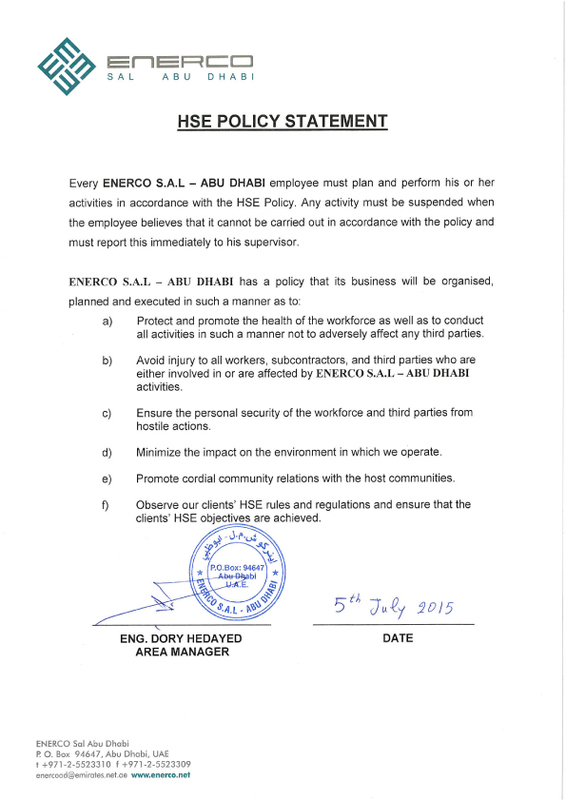 We have developed and implement practical procedures that ensure the safety and health of every company employee. 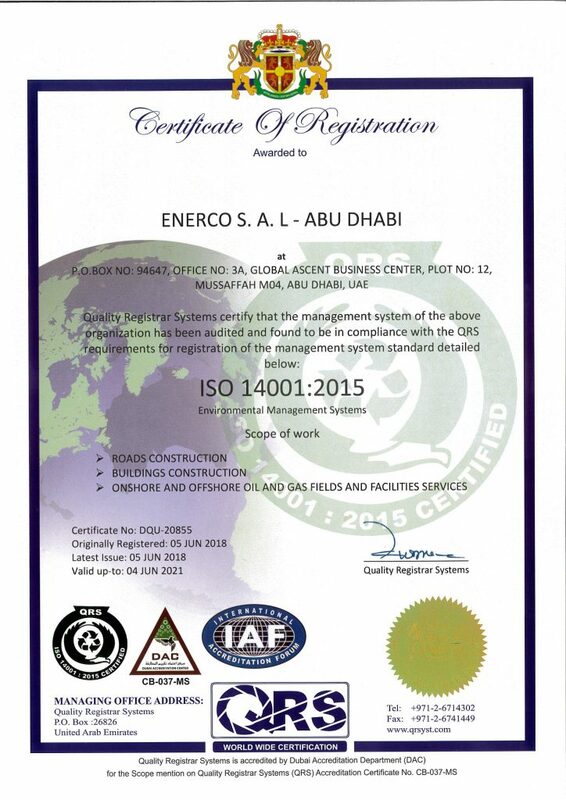 The Company has obtained BS OHSAS 18001:2007 and ISO 14001:2004 certification.